Pakistan, which faces the challenge of terrorism at home, seems ready to join the Saudi-led coalition against the Shiite Houthi rebels in Yemen. On Monday, a senior Pakistani government official indicated that the country would send troops to the Kingdom. Though Pakistan's defense minister denied the claim that a decision about military support had been made, he arrived in Saudi Tuesday to decide the next steps. And late last week, Prime Minister Nawaz Sharif's office vowed that any threat to Saudi Arabia would "evoke a strong response" from Islamabad. But joining the Saudis in their latest war would polarize Pakistan, which is home to several Muslim sects. Pakistan would also incur the ire of its neighbor, Iran, with whom Pakistan's Shiites -- about 20 percent of the population -- maintain close ties. Although Riyadh and Islamabad have been close allies for decades, part of Pakistan's problem with Islamist radicals stems from Saudi funding for religious schools that teach a fundamentalist Wahhabi doctrine. Pakistan is still paying the price for its initial involvement in the Afghan proxy war between the United States and the former Soviet Union in which Saudi Arabia played a critical role. Support for the Afghan Mujahedeen during the 1980s encouraged extremism, terrorism and sectarianism in Pakistan, changing Pakistani society significantly. Involvement in a new, distant war in Yemen is unlikely to have a different result on Pakistan's internal cohesion. By the time I moved out of Pakistan in 1997, the country was witnessing a surge of sectarian killings. Extremist Sunnis, inspired by puritan Wahhabi teachings, were targeting educated Shiites, forcing them to emigrate. Extremist groups like Sipah-e-Sahaba Pakistan and Lashkar-e-Jhangvi targeted Shiite doctors, engineers, lawyers and professors. This was the result of sectarian hatred taught at Saudi-funded madrasas originally set up to recruit and train foot soldiers for the anti-Soviet jihad in Afghanistan. After the Soviet withdrawal from Afghanistan, Pakistan's intelligence service had used the madrasas to recruit fighters to fight in Kashmir against India and to support the Taliban in Afghanistan. The madrasas were attractive for poor Pakistani families who weren't able to send their children to schools or even to feed them daily. One-third of Pakistan's nearly 200 million people live below the poverty line, subsisting on less than one dollar a day per family. Madrasas provided children free housing, food and clothing alongside religious education. According to the inspector general of Punjab police, hundreds of religious seminaries in Pakistan, especially in Punjab province, are foreign funded. The curriculum of these madrasas conformed to puritanical Saudi Wahhabi beliefs, disregarding the religious syncretism of the India-Pakistan subcontinent. Many madrasa students imbibed hatred towards sects other than the Wahhabis, which later manifested itself in sectarian attacks. Saudi Arabia's concern after 1979 about Iranian influence also played a part in encouraging extremist attacks on Pakistani Shiites. The Wahhabis consider Shiites as heretics while the Saudis also tend to see them as allies of Iran. The rationale for Pakistan's involvement in the Saudi-funded Afghan war during the 1980s was similar to the reasoning currently being offered for Pakistani involvement in the conflict in Yemen. The Saudi-Pakistan relationship has been close and rests on mutual dependence of the two countries' elites. Pakistani troops were stationed in the Kingdom during the 1980s to protect the royal family. Prime Minister Sharif and his family lived in Saudi Arabia during their years in exile from 2000-2007. Despite being armed with nuclear weapons, Pakistan is perennially cash-strapped. The Saudis have traditionally been generous in supporting Pakistan with hard currency. They have also paid for expensive weapons for the Pakistani military from other countries (usually the United States). Over a million Pakistani expatriates work in Saudi Arabia and their remittances are critical for Pakistan's economy. Last year, Riyadh gave a $1.5 billion loan to Pakistan to overcome a hard currency shortage. At the Saudis' request, 2,500 Pakistani retired army and police officials joined Bahrain's anti-riot force in cracking down on the Bahraini Shiite uprising. The Pakistan military, as well as civilian leaders like Prime Minister Sharif, see partnership with the Saudis as beneficial in economic and military terms. Saudi backing has also been important for advancing Pakistan's strategic objective of maintaining military preparedness against India, a much larger neighbor, and wresting the disputed territory of Kashmir from it through an insurgency. For their part, the Saudis got a chance to spread their version of Islam through the wars in Afghanistan and Kashmir. Close ties with Pakistan, the world's only Muslim-majority country with nuclear weapons, helps the Saudis stake their claim as leaders of the Islamic world. The Kingdom holds Islam's most sacred sites and sees only Iran as its rival in speaking for the world's Muslims. 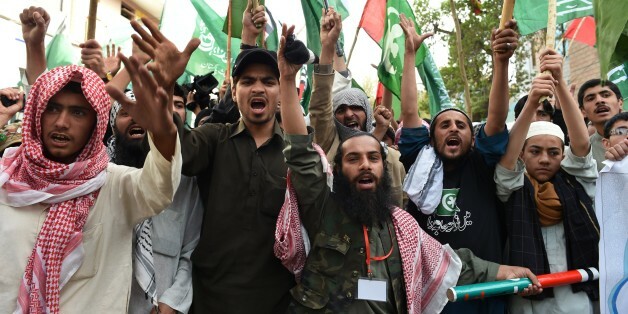 The spread of Wahhabism in Pakistan has been detrimental to Iran, because it advanced Saudi interests and exacerbated anti-Shiite sentiment in the region. Relations between Pakistan and Iran have suffered several setbacks beginning with the assassination of Iran's consul-general in Lahore, murdered by SSP terrorists and accentuated by killings of Shiite pilgrims headed to Iran near the Pakistan-Iranian border. 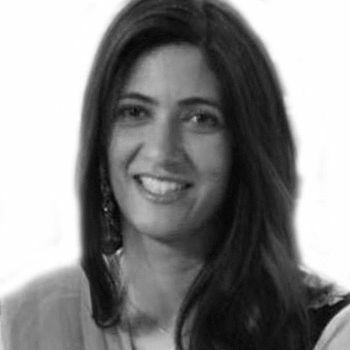 By siding with Saudi Arabia in Yemen, Pakistan is in danger of being sucked into a conflict driven by sectarian factors. Iranian-backed Shiite rebels in Yemen are deployed on the border close to Riyadh and that has created shockwaves throughout the Kingdom of Saudi Arabia. But the instability in Yemen poses no direct threat to Pakistan's security or other critical interests. 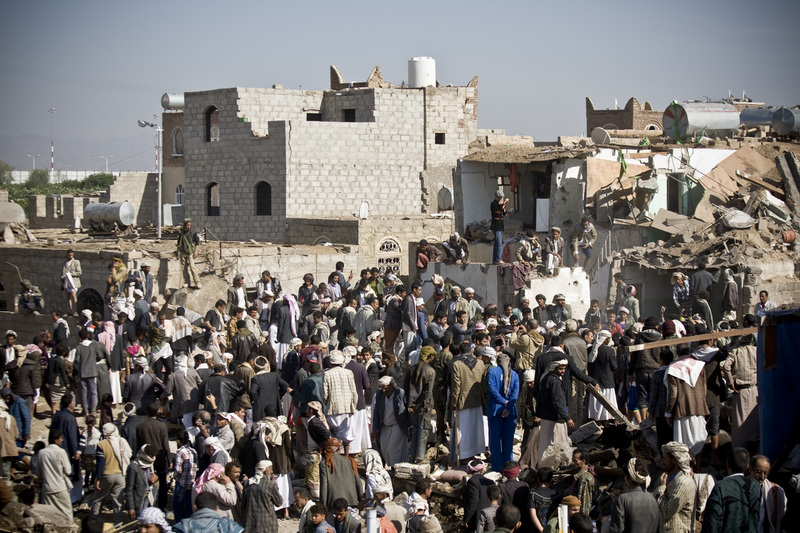 By getting involved in the Yemen conflict, Pakistan risks sectarian conflict at home in addition to being drawn into a proxy war between Saudi Arabia and Iran in the Middle East. Pakistan has paid a heavy price due to terrorism, losing some 30,000 lives over the last two decades. Pakistan's interests might be better served by working on better diplomatic relations with neighboring countries, especially Afghanistan and India, and focusing on eradicating the growing radicalization within its society. Entering a distant war for Saudi Arabia will do little to help Pakistan's already precarious condition.